It may be safe to say I'll never make another jam without adding some chile peppers to it. I'm addicted. I'll even go as far as to say that I like jam better when it has a hint of the other side of sweet, an afterthought of calm warmth in my mouth. This morning when I woke up earlier than normal (after going to bed much later than usual), instead of feeling groggy and somewhat fuzzy, I felt invigorated and inspired. My hands are on the mend, and after cleaning up a few dishes from a small dinner party last night I turned to the mangoes that were meant both for mango lassis and frozen storage for future smoothies. All of a sudden, I found a pot of jam on the stove and an excellent breakfast in my belly comprised of mango pits gnawed as clean as cobs of corn. 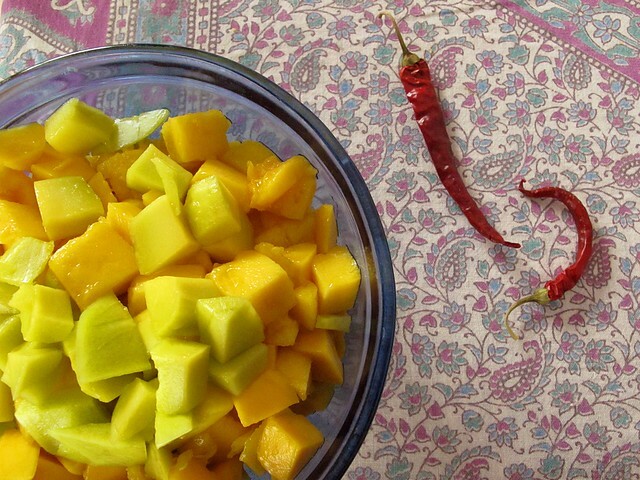 Mangoes appear to be perfectly in season, and I say this purely based on flavor and not any previous knowledge of when exactly a mango tree is actually prolifically in season. 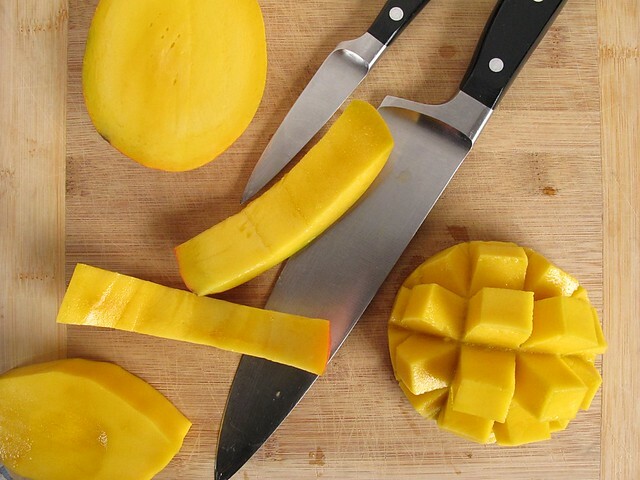 Mangoes are also dirt cheap right now, and armed with the previously culled and stored knowledge that they are a fruit very sensitive to pesticides (and thus rarely sprayed), I usually enjoy the non-organic variety of this fruit. I commonly see the larger, human-heart sized blushing green variety I presume come from Hawaii, but when I find good prices on the smoother fleshed, slender yellow "champagne" mangoes, I get really excited and sometimes go overboard on purchasing them. They taste like exotic peaches, impossibly smooth and slippery in your mouth, and completely without the fibrous tendencies of the more common mangoes. They are mango sophisticates. Increase the heat to medium, stirring frequently to make sure all the sugar has dissolved. When sugar has dissolved, raise the heat to medium high, add several grinds of coarse black (tellicherry) pepper and boil until a spoonful of jam mounds up when placed on a chilled dish. 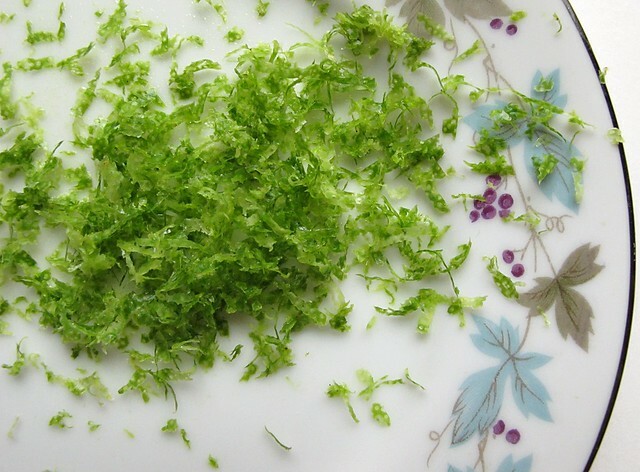 Stir in the lime zest. 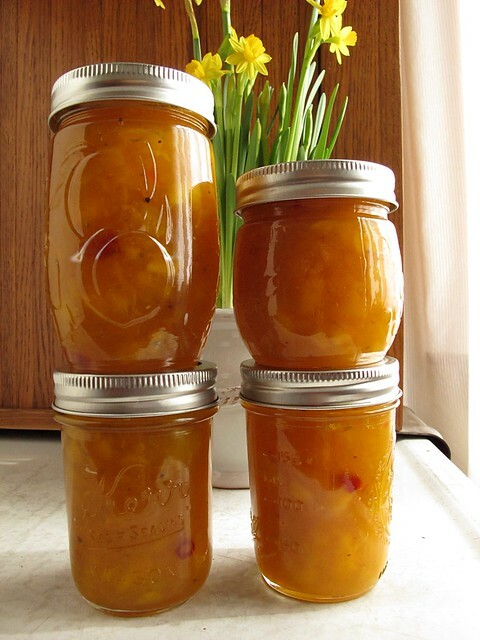 Ladle jam into sterilized and still hot jam jars (use pint, 3/4 pint, or half pint jars), and process for 10 minutes in a boiling water bath. 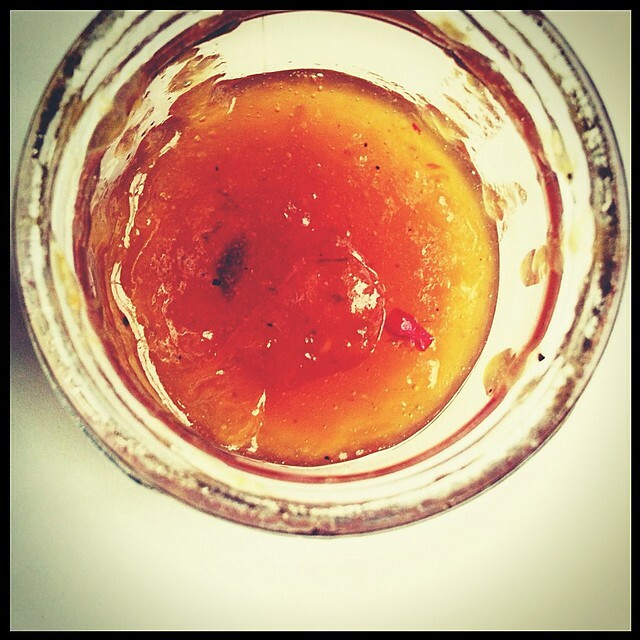 This chile spiked mango jam has a nice soft heat balanced with peachy sweetness. I can't wait to eat it on grilled cheeses and with cheese (which is my new favorite way to eat jam, I think). It may make a nice seltzer drink, or when thinned, a terrific sauce for vanilla ice cream or a topping for some rich, creamy cheesecake. Half the fun of making a new jam is deciding what to lop spoons of it onto! My idea of jam making has changed so much in the past few years. I used to think that I could only make jam with fruit that I'd grown myself and in huge batches - probably reminiscent of the way my family preserved jam when I was growing up. Thanks to so many small-batch preservers, I've made stellar little 4 jar experiments with supermarket fruit that have slyly surprised me with their deliciousness. I've grown bold, adding herbs and spices to things I'd never considered, thanks to so many of my favorite preservers - maybe I will make it my 2012 mission to add chiles to everything I pop into jars.